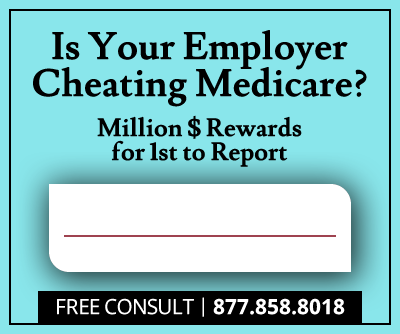 51 hospitals in 15 states have agreed to pay the Federal Government $23 million to resolve False Claims Act allegations by two whistleblowers, regarding the implantation of cardiac devices in Medicare patients without adhering to Medicare's coverage requirements. This is the last resolution in a series of lawsuits that began a nationwide investigation into Medicare billings for unnecessary cardiac implants. Last October, nearly 457 hospitals in 47 states reached 70 settlements totaling a recovery of $250 million. At that time, whistleblowers Leatrice Ford Richards, a cardiac nurse, and Thomas Schuhmann, a healthcare reimbursement consultant, received a reward of $38 million. Richards and Schuhmann filed the lawsuit after observing irregularities in the way hospitals established who was a suitable candidate for the implantation of a cardioverter defibrillator (ICD) covered by Medicare. Each ICD costs the Federal healthcare program $25,000. ICDs perform the same function as common handheld defibrillators, working to restore the heart's normal rhythm. 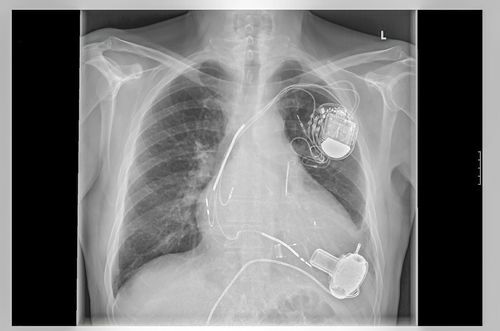 The ICD detects abnormal cardiac rhythms and rapidly corrects them, by way of a delivering a shock to the heart. The requirements for ICD implantation coverage under Medicare are rather strict. In the case of patients who have recently suffered heart attacks or undergone bypass surgery or angioplasty, the National Coverage Determination protocol states that there must be a waiting period of either 40 or 90 days, depending on their condition, before implanting an ICD. This is a way to allow the heart to recover on its own, before implanting the device. The hospitals that reached the settlement allegedly implanted ICDs during the prohibited periods, between 2003 and 2010. Some of the largest recoveries amongst the recent settlements came from Dignity Health in San Francisco and 18 affiliates, which will pay $5.9 million; Monongalia County General Hospital Co. in Morgantown, West Virginia, which will pay $4.8 million; and New York's Northwell Health Inc. and six affiliates, which will pay $2.5 million. Whistleblower lawsuits related to the healthcare sector have been in the lead lately in terms of False Claims Act recoveries for both the Federal Government and State governments across the US. According to U.S. Attorney Wifredo A. Ferrer, "The extensive investigation behind the settlements was heavily influenced by evidence-based medicine. In terms of the number of defendants, this is one of the largest whistleblower lawsuits in the United States and represents one of this office's most significant recoveries to date." 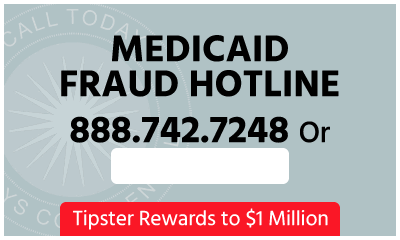 Thanks to the assistance of whistleblowers, the US Department of Justice has been able to recover millions of dollars in cases of Medicare fraud. The new settlement will hopefully contribute to deter healthcare providers from defrauding both Medicare and Medicaid in the future, in many cases, putting the lives of patients at risk. The whistleblowers have praised the diligence of DOJ attorneys, Jeffrey Dickstein and Amy Easton, who led the federal investigation. Dickstein and Easton´s work has forever changed cardiac care of Medicare patients, requiring hospitals to observe science-based coverage conditions. As a result, the number of Medicare beneficiaries receiving ICD implants has been significantly reduced, diminishing by 28% since the beginning of the investigation, and saving Medicare nearly 2 billion over the last five years. “Jeffrey Dickstein and Amy Easton did exceptional work addressing an important issue for patient care,” whistleblower Richards has commented. “Their work was comprehensive and extremely skillful in dealing with a range of difficult challenges,” added Schuhmann. Richards and Schuhmann are set to receive a reward of $3.5 million from the recoveries.